We are a top notch supplier of Embroidery Card. Check this stunning Silk Invitation with embroidered monogram. 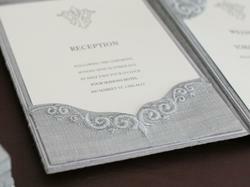 Grey silk thread embroidery on silk, these folio in silk with embroidery makes an elegant invitation, this collection can be personalized to match wedding theme. CG 1-Cream gold ribbed butter sheet ... cream gold envelope with long paisley embroidery design .... insert on eco friendly cream fibre paper ...... any colour border and matching matter print. 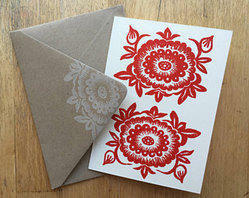 We are engaged in offering Embroidery Card. Our reputed entity is engaged in supplying Embroidery Marriage Card. We are a top notch supplier of Embroidery Marriage Card. In order to meet excellent quality standards, we are supplying Embroidery Cards. Our reputed entity is engaged in supplying Embroidery Cards.